The 2020 Hyundai Palisade goes on sale later in 2019. The 2020 Hyundai Palisade is the family crossover that the automaker needed. 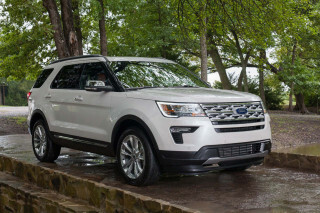 Bigger than the Santa Fe XL, it should please growing families on a budget. 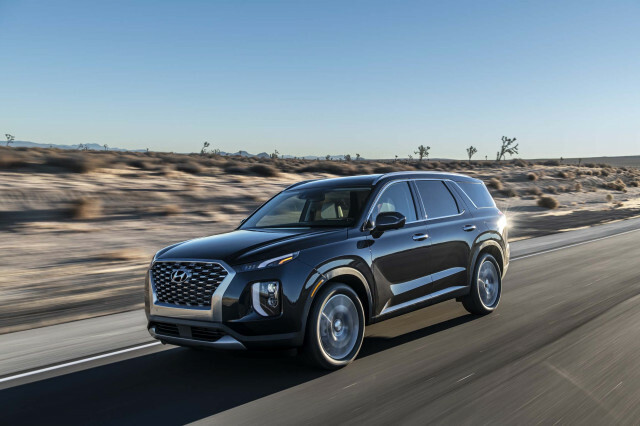 The 2020 Hyundai Palisade is the automaker’s largest crossover and a three-row family hauler that replaces the Santa Fe XL. The 2020 Palisade’s strength is its roominess. It has more than four times the small-item storage capacity than the Santa Fe XL—more pens, more soft drinks, more notepads for more kids. Its bedrock is its perceived sturdiness through its blocky and upright design and active safety features, some of which are standard on every model. 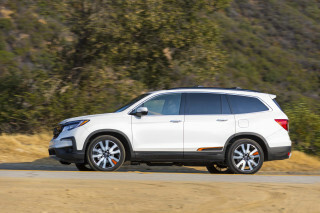 When it’s released sometime around summer 2019, the Palisade likely to undercut rivals such as the Honda Pilot and Subaru Ascent by several hundred dollars in most of its configurations, although Hyundai hasn’t yet said how much it will cost. The 2020 Palisade will be available in SEL, SEL Plus, Limited, and Ultimate trim levels with a few options scattered between them. The 2020 Palisade begins a new design era for Hyundai, migrating away from the sameness of their previous crossovers. The Palisade’s grille is imposing and upright, a honeycomb pattern framed by silver-painted plastic that’s more durable than it sounds—engineers developed a “liquid silver” paint process that imparts the finish with a matte, durable look that’s supposedly resistant to chipping. Spilt headlights, top to bottom, push the Palisade’s signature toward the corners. In the dark, it reads even wider than the crossover’s 77.8-inch width would indicate. Along the body sides, chrome trim skips convention; instead of outlining the windows, the chrome trim dips sharply toward the rear wheel. Along with black plastic near the edges of the rear passenger doors, the chrome’s contribution is a visual trick meant to make the roof pillar look bigger and stronger. Hyundai’s designers, briefly: The Palisade is tough enough. Around back, the same vertical elements from the front frame the rear taillights. A large, block “Palisade” badge spans the wide liftgate above a short rear bumper and exposed exhaust. Inside, the Palisade’s shift-by-wire transmission afforded designers more room in the center armrest for storage and design. Four buttons for P, R, N, and D tuck nicely near the driver underneath climate control knobs and alongside a rotary terrain selector. The Palisade’s dashboard and trim layout is horizontal and largely unbroken—the Great Plains sans corn. The driver’s instruments (optionally a 12.3-inch digital display) flow neatly to the large 8.0-inch touchscreen for infotainment (optionally 10.3 inches). Cloth upholstery is standard on most trims and tony leather treatment is reserved for top trims. Most of our time was spent in a light beige leather-equipped Ultimate with a butter-soft headliner that punched higher than Hyundai’s traditional budget caste. Lighter shades feel brighter; darker shades will be popular picks for spill-heavy families, though. A deep red burgundy may be the Palisade’s #BestLife, but it’s not clear if that version will make it Stateside. We’re sure that the 2.2-liter turbodiesel that we drove in South Korea definitely won’t make it to the U.S. The only engine we’ll get when the Palisade goes on sale is a 3.8-liter V-6 adapted from luxury-brand Genesis. In the Palisade, it’ll run on the more efficient Atkinson cycle and make 291 horsepower and 264 pound-feet of torque. 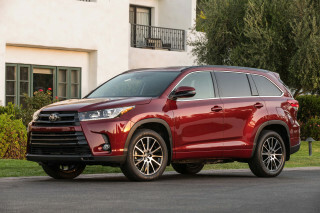 It’s exclusively paired to an 8-speed automatic and drives the front wheels as standard, or all four wheels when optionally equipped with a automatic system that was developed in-house and different than the Santa Fe’s Haldex-sourced system. We haven’t yet driven gassers, but math leads us to a reasonable prediction: 291 hp for an eight-person crossover doesn’t equal quick. Relative fuel efficiency is the Palisade’s game, anyhow. Hyundai isn’t making many predictions there, but combined fuel economy in the low-20s might be as good as it gets—good for three-row crossovers, but only average among new cars. The Palisade will tow up to 5,000 pounds, according to the automaker. The heavy crossover uses familiar suspension components to damp roads. MacPherson struts up front and a rear multi-link suspension in back tame the up-and-down undulations of the wheels, but side-to-side motions in the big crossover aren’t as contained: its mission is comfort and the Palisade nearly bursting from its bustle with cargo, people, tech, etc. We’d take the long way in the Palisade anyway. All three rows are comfortable for adults and head room in the third row isn’t an issue. The front seats are all-day comfortable with plenty of thigh and side supports. Power-adjustable seats are optional, which speaks to the Palisade’s mission of value—not necessarily luxury—first. The second row is a bench in most models, but captain’s chairs can sub in for older families. The second row slides fore or aft by several inches for easier entry/exit in the third row. Hyundai’s secret sauce for the Palisade is one-touch everything: the second row can tumble forward by pressing one button and the split-folding third row can stow out of the way just as easily. Hyundai boasts more than 42 inches of second row leg room, more than enough for our 6-foot-3 editor to sit behind someone of similar size. Grab handles and a wide rear door opening make climbing into the third row easier than in some competitors such as the Mazda CX-9. Once in back, the third row doesn’t want for head room, our tall editor could sit fine there, too. It’s a knees-up sitting position, but not wholly uncomfortable. The third row reclines for more big-kid comfort. Behind the third row, the Palisade boasts 18 cubic feet of storage space, slightly more than average among competitors. We tumbled forward the third row for even more room—46 cubic feet—and an extendable vinyl cargo mat saves the carpet on the rear seatbacks (even if it folds awkwardly with the seats up). The 2020 Hyundai Palisade isn’t yet on sale in the U.S. and hasn’t made a date with crash testers. The Palisade uses a new frame for Hyundai’s crossovers, one that’ll underpin the Kia Telluride and likely others. It’s full of high-strength steel (which Hyundai forges itself, a relative rarity in the automaking universe) and historical success with the Santa Fe and other crossover’s crashworthiness is encouraging. 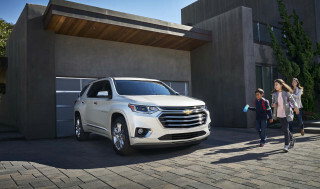 Like the Santa Fe, the Palisade will be equipped with a raft of active safety features including automatic emergency braking, active lane control, adaptive cruise control, and a driver-attention monitor that warns occupants to pull over if the Palisade has drifted between lanes too much. Safety extras include a surround-view camera system and parking sensors to help negotiate svelte spots in crowded malls. Hyundai hasn’t yet outlined what features will make it Stateside, but we know the basics. 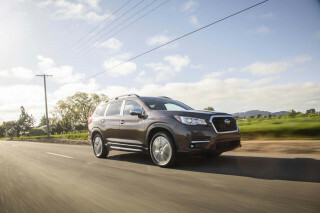 Every Palisade will be equipped with at least 18-inch wheels, cloth upholstery, an 8.0-inch touchscreen with Apple CarPlay and Android Auto compatibility, seating for eight, LED daytime running lights, Bluetooth connectivity, and at least two USB charge ports. 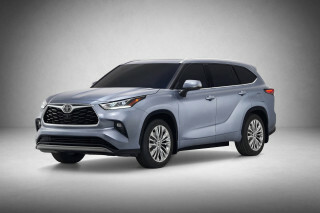 Top trims get up to six USB chargers, heated and cooled front seats, power-folding third row, second-row captain’s chairs that can be heated or cooled, leather upholstery, a 12.3-inch digital instrument cluster, a 10.3-inch touchscreen for infotainment, wireless smartphone charger, a 110-volt power outlet in the second row, and a load-leveling rear suspension. The EPA hasn’t yet rated the Palisade, but we expect it to manage combined mileage in the low-20s with front-wheel drive. Looking for a different year of the Hyundai Palisade?